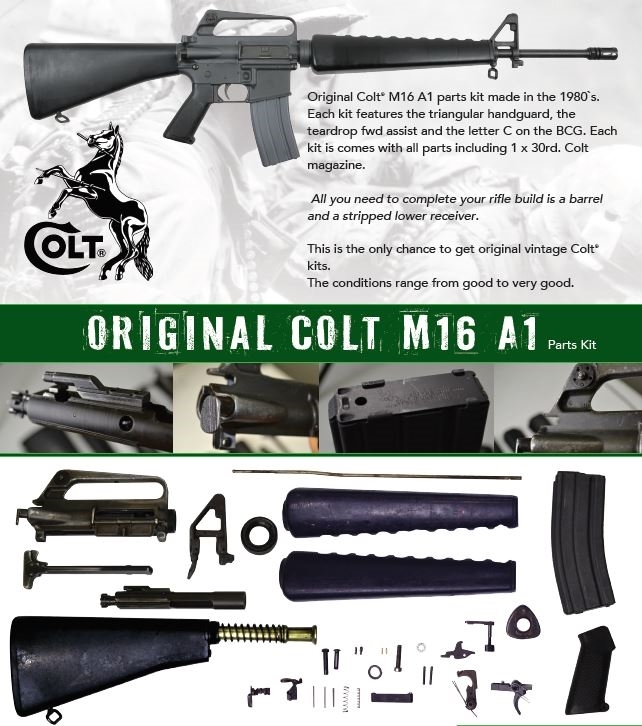 Original Colt made in the 1980s. The kit is complete except the lower receiver and the barrel. NO hand guards, NO but stocks! Metal parts are fair to good. All parts are serviceable. 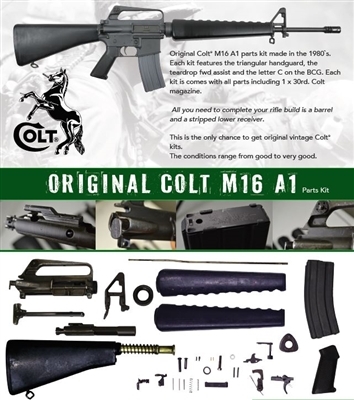 BCG is colt marked.